The Oxford Dictionary definition of science is “the systematic study of the structure and behaviour of the physical and natural world through observation and experiment”. 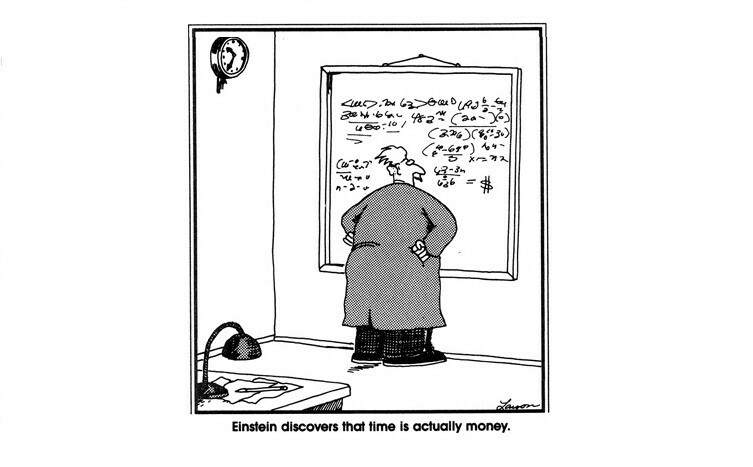 Critics of “economic science” argue that the use of the paraphernalia of physics, like dense mathematical models, is in reality, purely “for show”; a vain attempt to give economics the elevated aura of physics (without unfortunately the same power of prediction). In fact some people would go so far as to say that “economic science” is really about as scientific as astrology and voodoo. Physicists like to describe their science as the hardest of “hard science” because physics can claim to be governed by hard and fast scientific “Laws”. This of course would seem to imply that many of the so-called “soft sciences” are in some way not quite as elevated, not quite as good. All the mathematical laws of physics are linear approximations of nonlinear behavior. In fact the reason that these “Laws of Physics” are actually considered to be “Universal Laws” is precisely because the dynamics behind these laws can be linearized (which then allows us to repeat experiments over and over again, with the same initial conditions, and always get the same predictable result). The inability to damp down constant adaptation causes the emergence of diversity (i.e. deviations from the uniformity of equilibrium). The inability to damp down positive feedback causes the emergence of bias or “skew” (i.e. some random things can arbitrarily get reinforced). Economics is highly nonlinear and subject to both incompressible adaptation and incompressible feedback. This means that there are no, and never will be any “fundamental laws of economics”. Even the slightly move away from linearity is akin to moving away from a “law” to a “strong probability”; and economics has moved a long way away from linearity. In an economy it is innovation that drives adaptation, and it is investment that drives positive reinforcement. In any nonlinear system, it is hard to know what adaptations are going to occur and which of them will get reinforced through investment; and the more nonlinear the system is, the less amenable it will be to even probabilistic prediction. However this lack of predictability does not mean that we cannot have a “Qualitative Understanding” of the potential behavior of the system. Both adaptation and positive reinforcement can independently drive emergent behavior, but it is the interplay between the two that determines “the nature of emergence”. While diverse innovation without positive reinforcement can lead to the emergence of chaos, and reinforcement without diversity to the emergence of a bubble, the right balance between the two will always drive “the emergence of complexity”. Economies are effectively aggregated behaviour. Some would argue that, left to its own devices, a society’s aggregate behaviour will self-organise the optimal economic equilibrium; but this is obviously not true, for without laws society’s aggregate behaviour can often disintegrate into chaos. Okay, you might say, we need laws but we don’t need government nor bureaucratic interference in the economy; but this is not true either. When it comes to financial matters, in general humans (and banks for that matter) can often behave like complete idiots, displaying a herd-like follow the crowd mentality. The raison d’être of rational capital markets is that valuable investment funds are allocated to a diverse number of innovative business ideas, thereby generating economic complexity to the benefit of society as a whole. But with the emergence of herding these funds (and even borrowed funds) are often almost blindly redirected and allocated into one particular area or asset class thereby generating a financial asset bubble to the detriment of society as a whole. So when it comes to managing the economy, a hands off approach is not always the greatest idea…. All complex systems are driven by an interplay of diversity and combination, or in other words, “complexity emerges” as a result of “the diversification of uniformity and how this emergent diversity best fits together”. So in reality, it is not really possible to truly understand economics without understanding complexity, and it is not possible to understand complexity unless we understand the interplay between order and chaos. Managing an economy, like managing any other complex system, is an art, or more aptly a talent, like cooking, and like cooking it needs a good chef. A good chef knows how much of each thing he needs and how long to cook it for (to achieve optimal integration). Too much reinforcement without diversity of innovation and we get inequality and lock-in. Too much innovation and no reinforcement and we get the chaos of many fragmented ideas (that can quickly form, but just as quickly disappear). Both physicists and economists need to realise that economics is indeed a science, just not a linear science; which means it cannot rely on linear mathematics, and thus is not amenable to mathematical prediction. Economics is a nonlinear science, a “complex system science”, and so although not predictable it is still deterministic, governed by the same universal forces that drive all complex systems.